One More Celebration To Remember with Disney's Elena of Avalor, her friends & family. Learn to empower your children with cultures and traditions of others. Unique, unforgettable gift to treasure, share, cherish forever with your children. Learn about special celebrations like Navidad, Dia de los Muertos, and Carnaval. Traditions are what holds our cultures, families, relationships together. Every culture has its unique traditions and holidays they celebrate and treasure. No matter how far people from those cultures move, they always bring the flavor of their cultures with them. Traditions are a huge part of our country, and we want to celebrate the with gusto! And you can easily stream your favorite movies and shows with Google Chromecast! 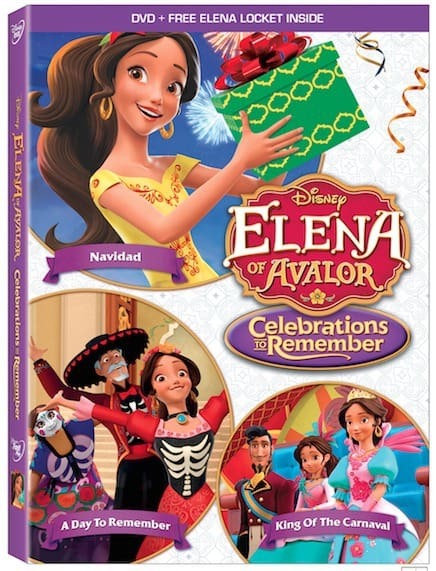 This beautiful ELENA OF AVALOR: CELEBRATIONS TO REMEMBER DVD is one of the best Disney’s releases this year. It educates without an effort to do so. It enriches without forcing it on us. It brings us closer with more threads that connect our souls, our lives, our communities. Únete a la princesa real Elena, su familia y sus amigos, mientras rinden homenaje al pasado, disfrutan el presente y le dan la bienvenida al futuro con música, risas y amor. Ya sea que celebren la Navidad, el Día de los Muertos o el Carnaval, las tradiciones nuevas y antiguas se ponen en juego. Y aunque no todos están siempre de acuerdo en la mejor manera de comenzar la fiesta, una cosa queda clara: las celebraciones no tienen que ver con lo que hagas, ¡tienen que ver con las personas especiales con quienes las compartes! With those of you who are in love with Elena of Avalor, here is a full cast of the voice talent who made it possible. This Elena of Avalor was directed by the amazing Craig Gerber (Disney Junior’s “Sofia the First”). Take a look at my interview with one of the talented women working on Elena of Avalor – its writer and editor Silvia Olivas! 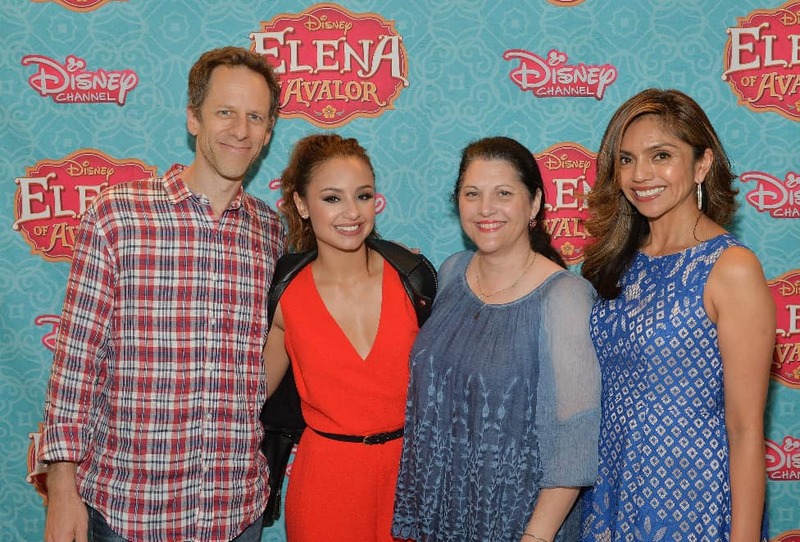 ELENA OF AVALOR – Disney Channel and Amigos for Kids hosted a screening of the highly-anticipated animated TV series “Elena of Avalor,” introducing Disney’s first princess inspired by diverse Latin cultures and folklore, at Miami’s Regal South Beach Theatre on July 13. Actress Elizabeth Gutierrez co-hosted the event. The series premieres FRIDAY, JULY 22 (7:00 p.m., ET/PT) on Disney Channel. 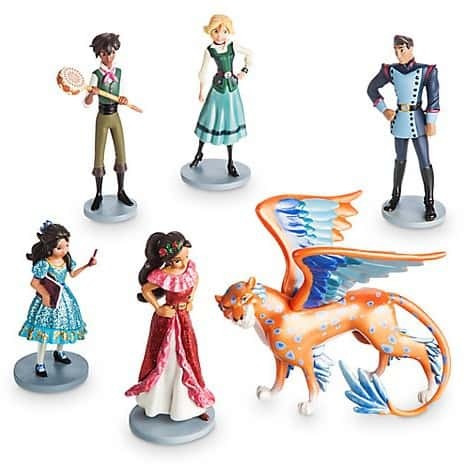 Ready to Rule – Elena of Avalor is a young woman of strength and beauty. Take a look how Editor Silvia Olivas flashes out this first Disney Princess’ fashion and style. Download gorgeous FREE printables and activity sheets for your princess! The Secret of Avalor – This is where it began. 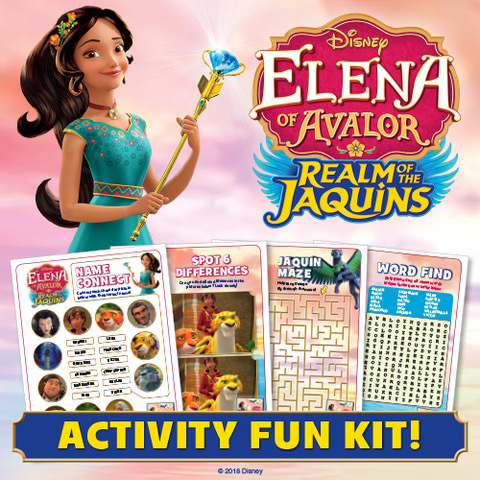 Discover what Elena of Avalor dreams of and how she applies her determination in reaching her goals. Plus more gift ideas for your little princess to celebrate birthdays, holidays and new friends. If you plan ahead, here are some toys and games to add to your Holiday or Birthday package to make your child happy with joy. Gorgeous Gift Ideas for Children – Please RETWEET! Celebrate Uniqueness By Learning Cultures & Traditions! PIN for Your Gift Guide Board! I love a newer spanish princess. What a lovely and fun giveaway. My niece would love watching this movie. The little figures are very cool looking as well. Great detail. I think that this movie looks cute! My daughter is obsessed with Elena! She would love these! Any little girl would love to have the DVD and all the other gifts that comes with it. I love all of these things and I know my niece will love them too! Such a great new Disney princess!! My girls love Elena and this would be a great DVD to add! My whole family loves this princess! My niece would love this movie. She love Elana! This sounds like another wonderful movie from Disney. I think my granddaughter would enjoy watching Elena of Avalor. i had never heard of this but i think my daughter rory will love this so much! Love Disney movies. This would make my granddaughter so happy and would be a great way to spend some quality time together. I never heard of her but the toys look awesome. Being a child these days must be so much fun with the variety of toys nowadays. This sounds like such a cute movie! I think my niece would love watching this. I love doing movie nights with my girls. Thank you for the nice give away. The kids love Elena. This is a great offer and DVD collection of celebrations. We LOVE Elena of Avalor! She is just so cute and positive. My nieces would be thrilled to have this movies and the toys. They love Elena. I love teaching my children about holidays in other countries and cultures, so this is great! 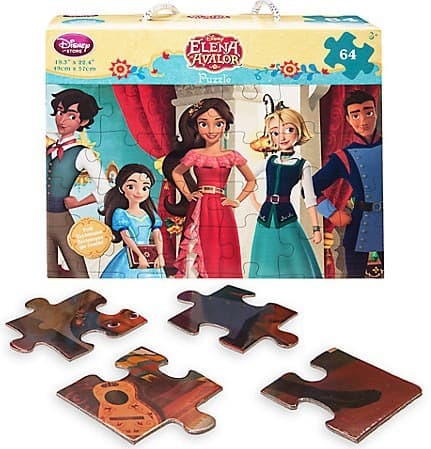 I am planning on buying Elena of Avalor for my kids! This is one of my niece’s favorite Disney shows! She’s in love with the songs and the characters. The puzzle and water bottle will be perfect for her! This sounds like a wonderful movie with a good message. Would be fun to watch. My daughter shares her name with The Little Mermaid :-0) I am not familiar with this character, my kids are all grown so I have been out of the loop. The Little Mermaid is my all-time favorite Disney movie. I know everything verbatim from dialogues and songs in that animation. 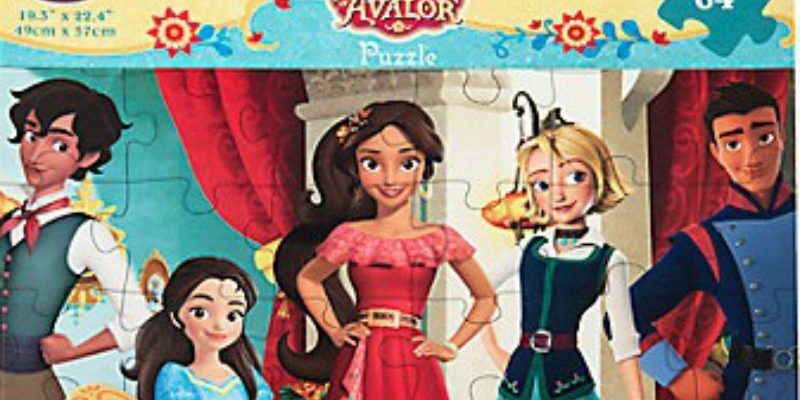 Elena of Avalor is a great movie for our girls and boys, both! It is so rich and vibrant of cultural elements that are very much needed today for us all. Your family will enjoy it tremendously. My granddaughter Alaina loves sharing her name with a Disney princess. She and her sister Kiana watch this show every day. My daughter loves Elena and I am sure she will love this movie. I have been looking for a gift to give my friends little girl. She is going to love this. Thank you for the great idea. This looks like a wonderful movie! Disney films and characters are always so entertaining and inspiring. My daughter loves Elena! Thanks for such a great giveaway, would love to win! This sounds like a great movie to have. I love the whole package! I love the we have a Latina princess that represents us with her lovely features. overall the message of it is great. This is a movie that I would like to see. I love princess movies. Daughter and I are fans of Elena! Disney did well with this endeavor. My daughter’s love Elena! Love the water bottle and the figurines! This is one of Samantha’s favorite movies. She just loves Disney movies. My daughter loves Elena of Avalor! I have not seen it yet, but it looks fantastic and the toys look great as well. Disney has an awesome track record for entertainment. What a great sounding movie- Any child would love all these toys!